I've recently started to embrace my (new) vegetarian lifestyle and veggie love. Unfortunately, there are certain things that can't be replaced by just a salad or a french toast. 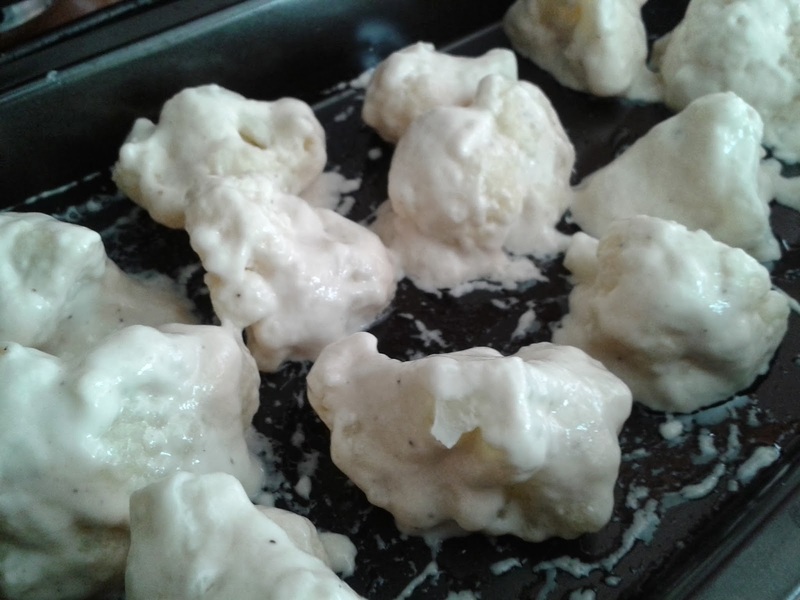 As a former chicken wings lover, I found this delicious recipe at peta2.com using cauliflower as wings and decided to give it a try. The taste is exactly the same, no jokes. It obviously feels different as you chew but it's just as spicy and delicious as ordinary buffalo wings, except better and living-species-free. Hace poco le empecé a tomar más cariño a mi (nueva) vida vegetariana y el amor por los vegetales. Lo malo es que hay ciertas cosas que no se pueden reemplazar con una ensalada o una tostada francesa. 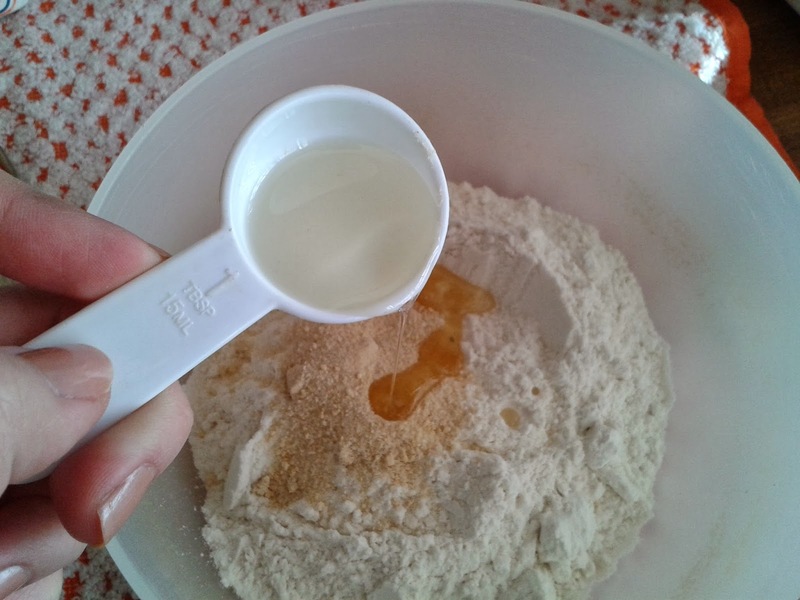 Siendo yo antes amante de las alitas de pollo, descubrí navegando por peta2.com una receta buenísima usando coliflor como alitas y pensé en intentarla. El sabor es exactamente igual, sin bromas. 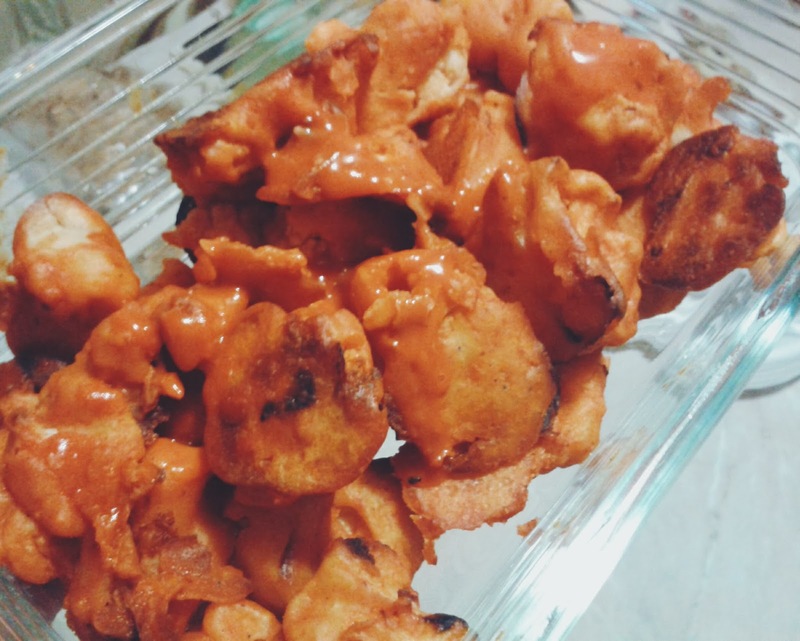 Obviamente se siente diferente al masticarlo pero son igual de picantes que unas alitas buffalo comunes, excepto que mejores y libres de especies vivas. I followed the instructions listed on the Peta2 site, although I added an extra step that is not really important but I wanted to add something from my own. So if you're interested in this vegan meal, check out their site for detailed info on what you will need. Yo seguí las instrucciones listadas en el sitio de Peta2, aunque agregué un paso extra que no es muy importante sólo para darle mi toque. Si te interesa esta comida vegana, checa su sitio para más información de lo que vas a necesitar. 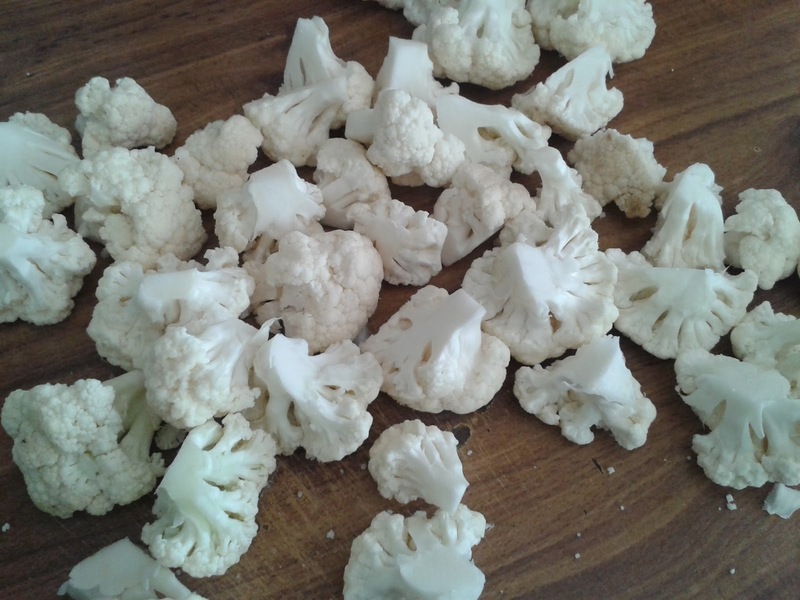 First thing I did was cutting the cauliflower into little chunks that seemed to be sized as regular boneless wings. The extra step I added was steam cooking them for about 5-8 min until they were a little softer, I then realized that they're probably better if you let them stay crunchy and cook inside the oven as you follow the recipe. 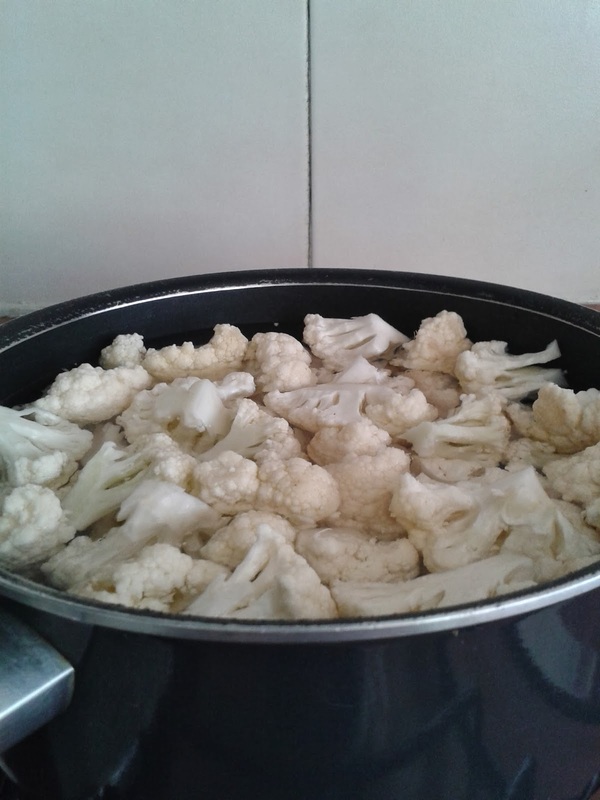 Lo primero que hice fue cortar la coliflor en pedazos que parecieran del mismo tamaño que unas alitas sin hueso normales. El paso extra que agregué fue cocerlas al vapor cerca de 5 a 8 min para que se ablandaran más, después me di cuenta que tal vez es mejor dejarlas que se cocinen solas en el horno siguiendo los demás pasos para que queden más crujientes. Next, I mixed the ingredients on a bowl until they combined. 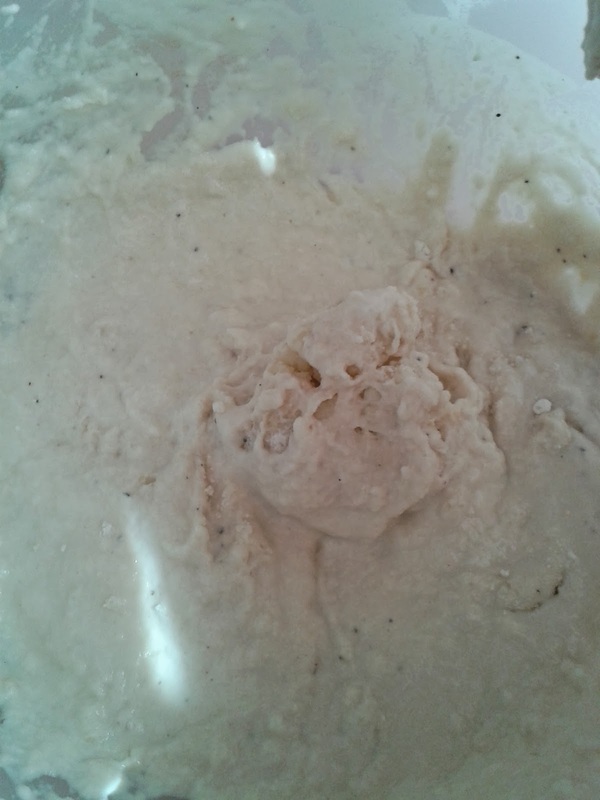 A lot of stirring is necessary so that you end up with a nice and even mixture. After this, I coated the "wings" by tossing them inside the bowl, once they were full of the mix I placed them on a baking dish and let them cook for a while. Luego, mezclé los ingredientes en un bowl hasta que se combinaron. Es muy necesario revolverlo todo bien para que quede una mezcla pareja. Después de esto, arrojé algunas "alitas" dentro del bowl para que se llenaran de la mezcla y las puse en un plato para el horno, dejándolas cocinarse por un rato. While your "wings" are on the oven, you can mix your favorite sauce with a little olive oil. Once they're ready, pour the sauce on them until they're completely coated and put back in the oven for a little longer. 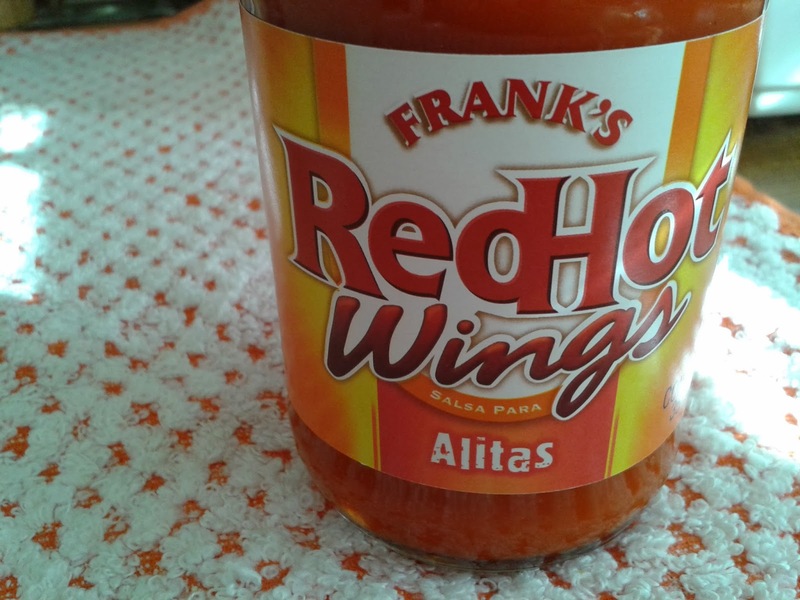 Mientras tus "alitas" se están cocinando, puedes mezclar tu salsa favorita con un poco de aceite de oliva. Una vez que estén listas, vierte la salsa sobre ellas hasta que estén completamente cubiertas y vuélvelas a meter al horno un poco más. Finally, just put them on a clean big bowl and pair them up with a dressing of your choice for extra flavor. And they're ready, ENJOY :)! Finalmente, sólo ponlas en un bowl grande y limpio y acompáñalas con el aderezo que más te guste para darle sabor extra. Y están listas, PROVECHO :)!